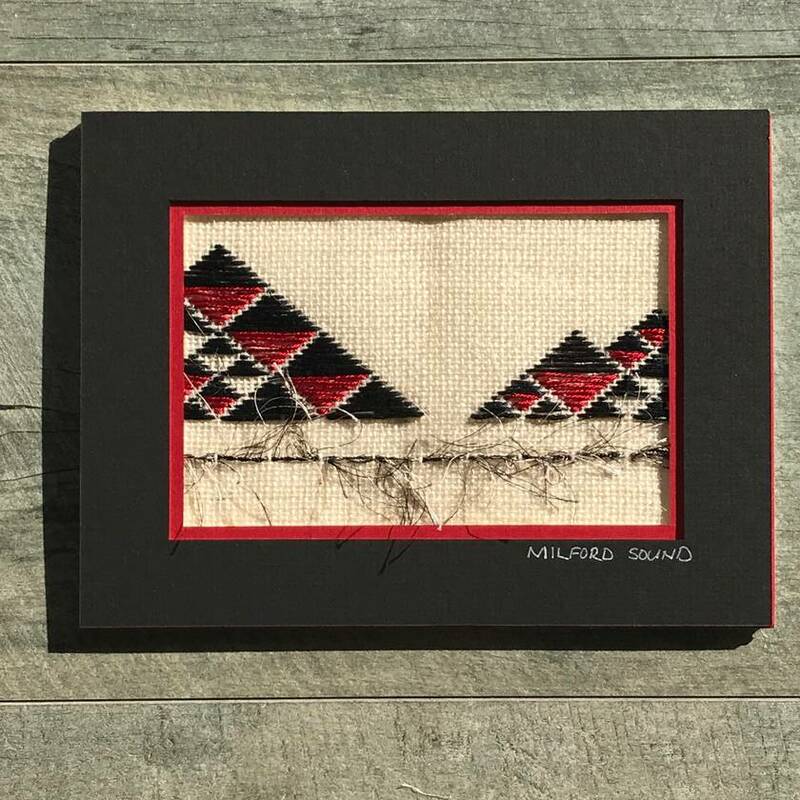 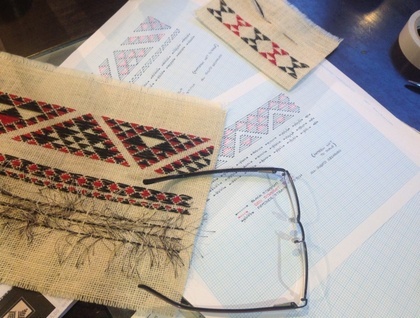 These Taniko needlework kits, designed by Wrapt in New Zealand, are completed in traditional red and black and feature a feather like yarn that stands out from the stitching giving the piece a 3D effect. 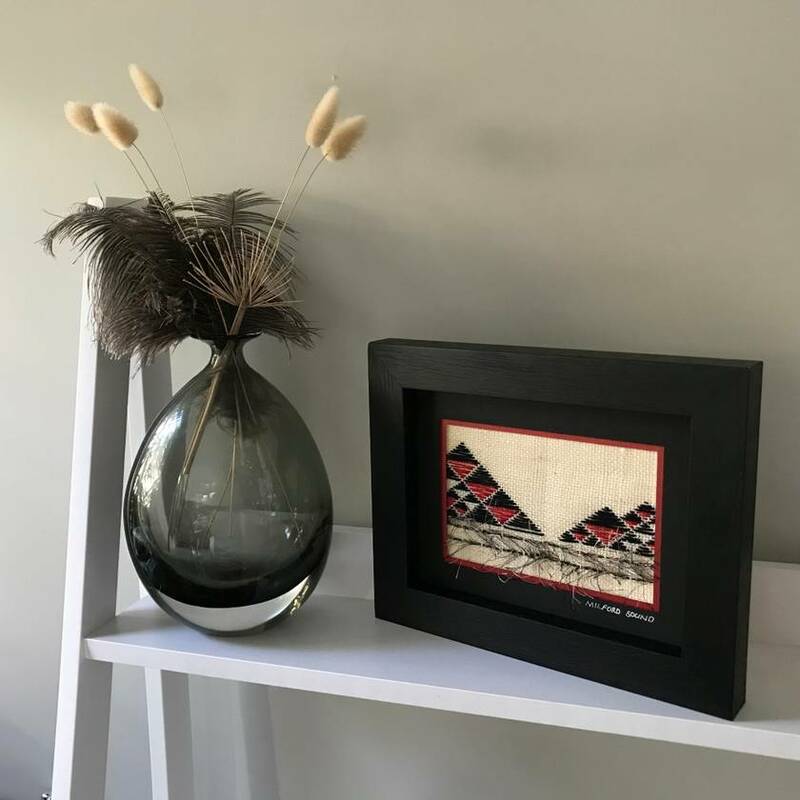 They are a fantastic souvenir or memento of New Zealand and the unique cultures of the South Pacific. 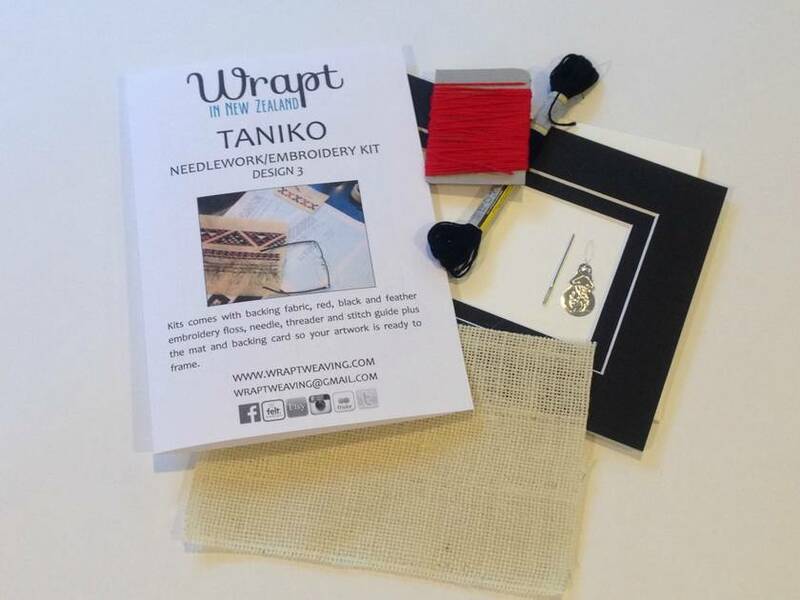 The kits come with backing fabric, red, black and feather embroidery floss, needle, threader and stitch guide plus the mat and backing card so your artwork is ready to frame.